People are finding it hard to believe that this guy is 17. Joseph Minala: Cameroonian is just 17-years-old, club say. 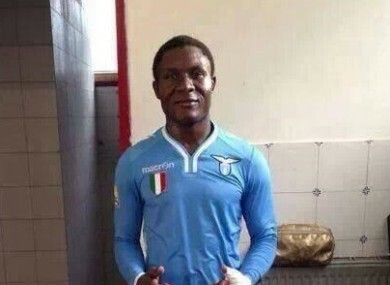 LAZIO PRESIDENT Claudio Lotito has backed youth-team player Joseph Minala after reports questioning the Cameroonian midfielder’s declared age of 17. Lazio had threatened legal action against anyone disputing Minala’s age after African website senego.net reported that he had told them that he was 41 years old, something the player denied in a statement on the Serie A club’s website. “Minala deserves respect as a human being, first and foremost. Everything that has been said about him is false,” Lotito told the Corriere dello Sport on Friday. “We forget the efforts that those like him have had to make. He has come from a difficult situation and has done everything he could to be a success. “They say he looks 40, but how can they say that? How many people have a baby face but are actually older than they seem? Email “Lazio president defends new young star Minala over age claims”. Feedback on “Lazio president defends new young star Minala over age claims”.